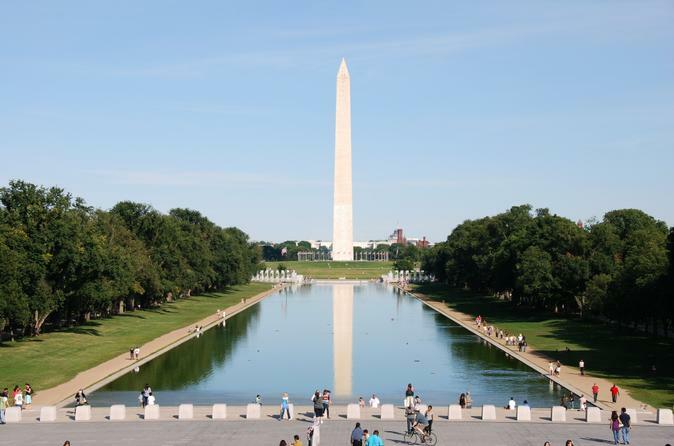 See the monuments, memorials, and popular points of interest in Washington, DC on this guided, half-day, small-group tour. Enjoy a fun day of informative sightseeing in the nation's capital, with live narration describing the many tourist sites and attractions that make the city famous. Visit the Lincoln Memorial, the Thomas Jefferson Memorial, the Martin Luther King Jr. Memorial, the White House, and many more. This educational sightseeing tour promises to pack a lot into a short amount of time — a 4-hour tour that provides an introduction to the many monuments, memorials, and popular points of interest in Washington, DC. Begin by meeting the guide and the rest of the tour group at the Hyatt Regency Washington on Capitol Hill. The tour will drive by a wide variety of locations, with stops for photos at the White House (outside the south front for pictures), the Thomas Jefferson Memorial, the Franklin D. Roosevelt Memorial, the Martin Luther King Jr. Memorial, the Marine Corps War Memorial, and the Lincoln Memorial — which also includes visits to the Korean War Veterans Memorial, the Vietnam Veterans Memorial, and the Vietnam Women's Memorial. Drive by over a hundred sites and memorials along the way — like the US Capitol building, the Washington Monument, and the Smithsonian Museums — learning about the history of each as they unfolded over time. Instead of simply showing the sites and announcing what each one is, the tour operator will describe the events that led up to the creation as well as the people who played key parts in the planning of construction and implementation.